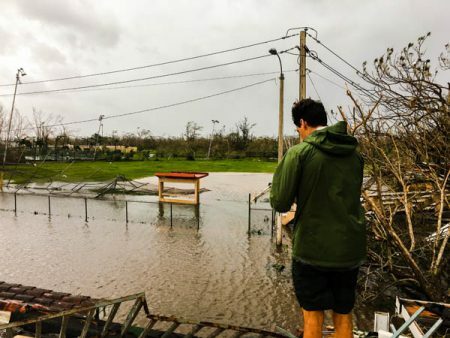 LAGUNA NIGUEL, Calif., October 3, 2017 – Led by the SIMA Humanitarian Fund, the surf industry is coming together to help the victims of both Hurricane Irma and Maria in Puerto Rico. All funds will be routed to Waves For Water, who is on the ground in Puerto Rico working to secure access to clean drinking water in the most impacted and neglected areas of the U.S. Territory. SIMA members, industry brands, surf industry employees and vendors are encouraged to join together to donate under this appeal via a donation page set up and maintained by the SIMA Humanitarian Fund here. In order to expedite funds to Waves For Water, the deadline to donate is 5 pm PDT, Wednesday, October 11, 2017. The water filters deployed by Waves For Water can serve clean drinking water to a family of 10 for over a decade. So far, Waves For Water has 1,500 filters on the ground, and the funds raised through this appeal will provide for additional filters as well as staff and travel to train the local communities on how to best use them. The Surf Industry Manufacturers Association (SIMA) is the official working trade association of more than 300 surf industry suppliers. Founded in 1989, SIMA is a non-profit organization that serves to promote awareness of the surf industry and participation in the sport of surfing through public relations efforts and a variety of services, educational programs and research. In addition, SIMA actively supports oceanic environmental efforts through its 501(c)(3) charitable environmental foundation, the SIMA Environmental Fund. In the past 26 years, SIMA’s Environmental Fund has raised more than $7 million for environmental groups seeking to protect the world’s oceans, beaches and waves. The SIMA Humanitarian Fund, also a 501(c)(3) charitable foundation, was established in to award grants to various surf or boardsport related social and humanitarian non-profit organizations whose efforts are focused on improving the quality of life, health and/or welfare of people. Since 2004, the SIMA Humanitarian Fund has raised and donated more than $1.7 million to surf-related non-profit organizations. For more information regarding SIMA, please visit www.sima.com.